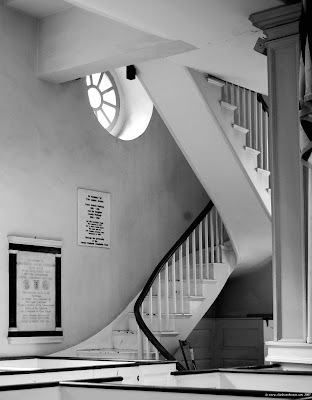 Another interior view of the Old North Church. Hi Clueless!! - This is such a well framed shot - love how the lines sweep your eyes up the staircase!! B&W - very special atmosphere and nice graphic! I like the black diagonal!